Social media tends to get mixed reviews from marketers, largely because, vanity metrics aside, a lot of marketers still haven’t figured out how to measure the ROI of social. Which makes me crazy because the fact is, social media can boost your bottom line if you know what you’re doing, and you know what your community wants (or doesn’t want). Too often marketers don’t understand the basic premise of social media: it’s about relationship building. Period. It’s not about another place to blast your brand messaging. It’s not about a magic formula of x number of posts per day. It’s not about constantly trying to sell something. It’s about knowing who your customers and prospects are, investing time finding and getting to know them, understanding what they want, need, or care about, and serving their needs in a myriad of ways. But that sounds an awful lot like a lot of work, doesn’t it? Even worse? It takes time. Social media success comes from a basic understanding of the potential value of social, combined with a strategic approach factoring in all of the aforementioned things, and a smart investment of resources, including time, the right people, and a budget that includes paid social. But What About Influence Marketing? But I’ve Got to Pay for It? The reality, though, is that influence will only take you so far. If you want your followers to spend money on your products and services, you need to understand paid social. Today, and especially as it relates to social media, nothing comes without a price, and social media channels, especially Facebook, are pay-to-play. If you want social to deliver results for you, without question you’ve got to allocate a budget for paid social. Research by Convertro found that paid social can have a powerful effect—25 percent more conversions powerful. I wrote recently about multi-touch attribution marketing, and how it’s changing how marketers see—and react to—the many touchpoints in the consumer’s buying cycle. While organic social media efforts can create nice, middle-of-the-funnel results by helping grow awareness and potentially accelerating eventual conversions (many touchpoints), paid social can often serve as the very first, even the only touchpoint, leading to a conversion. That said, paid social isn’t simple. This isn’t “throwing money at a problem,” and it’s easy to get tripped up in the execution and waste money in the process. Here are a few things to keep in mind when you wade into paid social. All the eyeballs in the world might see your social media marketing efforts, but if those aren’t the people who need to see your social marketing? If those people aren’t a good fit for your product, your service, or your message? Then who cares? You’re not going to be any further ahead. Targeting is one of the most important parts of a successful paid social strategy, and if you don’t have a clear grasp on who your existing customers are, and more specifically, where they can be found, then all the money in the world isn’t going to help you. And it’s not all that hard–there are a number of ways to get to know your audience better. The simplest method is also the most straightforward: Ask questions. Ask your customers and prospects which social channels they use. Ask them in person. Ask them in an email. Do a quick survey. If you have a form for an email newsletter, for instance, you can also simply add a question about which networks they like, use, and/or might want to hear from you in. You may also want to consider tools that use your customers’ email addresses to do some online detective work about where they are on social media, what they do there, even what they like. Two examples of how to integrate social media with your email marketing are Reapleaf and Flowtown. I haven’t had a chance yet to play with either tool, but there are plenty of reviews out there, including this review of Flowtown by Jay Baer. Of course, you will also need to go beyond your existing customers and the prospects you’ve already identified and connected with if you want to be successful. This is where making time to develop buyer personas will come in handy and maybe help you identify segments of potential customers you haven’t yet connected with? You can also use tools like Littlebird or Followerwonk which are amazing, and can do some of the legwork for you. The first step is making sure you understand your target audience, especially as it relates to your specific campaign. This requires some homework on your part. You will need to dig into your historical data, from your website analytics to social reports to customers’ past purchasing behavior to data that you can get from tools like Littlebird or Followerwonk. All of this data will help you decide what content to target to whom. Are you targeting men, women, or both? Existing customers or fresh prospects? What geographic regions will you be targeting with which messages? Don’t just consider demographics—many of these tools will allow you to target based on behavior and interests, which will get you much closer to your ideal prospect, one who’s actually ready to take the desired action. Fortunately, once you’ve done this homework, you’re well on your way to effective segmentation in your paid social campaigns. Now you have to combine all of your knowledge so that you can target the right messaging to those segments. Remember, these free social media channels exist as a method of gathering data on users so that advertisers like you can pinpoint them with surgical precision. Now let’s talk about the most painful topic—budgeting for this. It’s not uncommon for the budgeting process trip up even the savviest marketer. When it comes to budgeting for social media, you have to think of it like any other marketing activity: develop your goals first, and understand what success looks like, then build your budget and your campaigns from there. Goals might include growing your audience on a given channel, or developing a community. It should include figuring out ways to use paid social to build your own database (including email addresses of prospective customers), and it might also include things like website conversions, downloads, or even sales of specific items. Set those benchmarks, and from there you can figure out what constitutes a realistic amount to spend for the return you’re aiming for. And, of course, before you go with a plan, assure that it’s on-target with your overall long range marketing vision. Here’s where the rubber hits the road. You’ve got to pay careful attention to results. Be prepared to test different approaches to make sure that you’ve hit the right targets. Are you having success on the networks you expected to? Or are you still getting referrals from a network you’re not spending advertising dollars on? You need to dig into your results to make sure you’ve segmented your audience appropriately. Do A/B testing to find the approach that works best for the segments you’ve identified. Measure the return you’re getting, in dollars and cents, against the amount of money you’re spending. And be prepared to test, measure, tweak, and start all over again – again and again and again. The goal isn’t to throw one campaign out, rock the house, then drop the mic. The goal with social advertising is to invest in a channel where you can make an impact on your long-term business goals. As with anything—from blogging to earned media—it’s a marathon, not a sprint. The more you do it, the more you’ll learn about your audience and what’s most effective on your various channels. Social media marketing can boost your bottom line, but you have to know what you’re prepared to spend (if anything), how to make it work for your specific brand or company, who your audience is, and most importantly, what they do—or don’t—want. 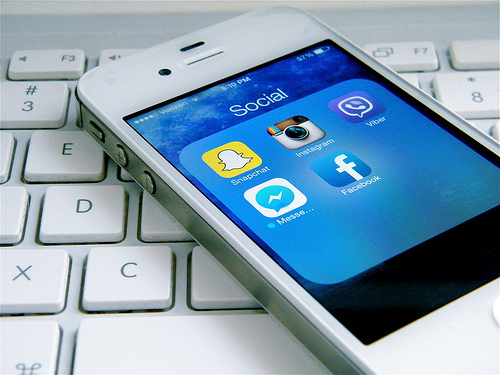 Are you running a social media marketing campaign? Maybe having trouble getting buy-in from the decision makers at your organization? Have you tried paid social yet? What were the results like? Please share your stories—I’d love to hear them.